JK Voices LLC Jenifer Kasten is a rising star when it comes to activism for children and their public schools, especially in the area of disabilities. A JD, she has a passionate voice for children. Her blog is focused and easy to read. Follow her on Twitter and Facebook. She will keep you informed. Association of RAZA Educators (ARE) In San Diego continue an organized struggle to fight against harmful school legislation in California and the rest of the country and to draw positive attention to students in the Hispanic community. Along with their many causes they consider student tracking and zero tolerance policies as racist and fight to end such harmful processes. They believe in community organizing and education. Included is there concern about politicians, corporations, political organizations and students being pushed-out of school. Stop Rocketship Education Now! is a website full of interesting information concerning Rocketship Charter Schools. The website involves feedback from 50 members of the community of Washington/Tamien in Santa Clara and San Jose, CA. There is a lot of coverage here concerning Rocketship’s education program and how the community is following this school’s business in the community. They include other information about charter schools and Rocketship. The main goal of the citizens is to bring awareness to the troubling impact of Rocketship has had on their local school district. It includes a Latino information page and a petition. Wait What? is a blog by educator Jonathan Pelto who also happens to be running for governor in Connecticut! Read about it HERE. Wait What? works “to educate, persuade and mobilie through ‘perceptive and acerbic’ observations about Connecticut Government and Politics.” It is a blog for everyone concerned about schools and education. Exceptional Delaware is a great website and blog if you have a child with special needs and live Delaware. Thies website is helpful to those outside of Delaware too. The Edvocate Blog~Standing up for Public Education covers Florida education and especially the testing crisis there. We need to all watch what happens in Florida. These posts are well-done. Kathleen Oropeza is a parent and tireless writer and advocate on behalf of children. She also is coordinator of Fund Education Now. Help them out. They are working to keep you informed as to the changes taking place in that state that have the potential to affect all of u.
Florida Stop Common Core Coalition is an active group in Florida fighting Common Core through legislative updates and more. Online Sunshine informs Floridians and other interested individuals what’s happening in the Florida legislature. Valuable site to keep up on Florida politics and school policy. Save Duval Schools was founded in 2009 to stop school budget cuts in the city of Jacksonville, Florida. While the group partners with many businesses, they successfully moved state leaders to reduce $160 million in budget cuts there to $40 million. They fought the problematic “Parent Trigger” reform. The organization now has an ongoing Facebook page where concerned citizens can voice their opinions concerning public school issues. I could no longer find their website. Like them on Facebook. Georgians to Stop Common Core If you live in Georgia and use Facebook and care about the problematic Common Core State Standards in your child’s school, Georgians to Stop Common Core is for you. You will find much support here and loads of up-to-date information as to what’s happening and how to fight back. Like this page and get involved! Idahoans for Local Education have as their motto “Keep Education Decision Making Close to Home.” This website covers Common Core State Standards any news about them. They also provide high-stakes testing Opt Out forms. the website was created by Stephanie Zimmerman. Created interactive Know Your Rights workshops for youth by youth on school discipline and policing. Won the public release of school-based arrest rates in 2006. Won the replacement of Zero Tolerance language with Restorative Justice language in CPS discipline code through informal coalition of restorative justice advocates citywide in 2007. Won commitment from CPS office of Safety and Security to pilot our restorative justice training for security guards in 2010. Won commitment from Orr High School to refer cases of minor misconduct to the BT trained Peer Jury instead of suspension in 2011. Partnered with Cameron Elementary to build model of whole-school approach to Restorative Justice 2012. Won the decrease of maximum out-of-school suspensions in CPS from 10 days down to five days through the High HOPES campaign in 2012. Catalyst Chicago I don’t always like what I read, but I think they tell it like it is. The Caucus of Rank and File Educators (CORE) is a group of dedicated teachers, retirees, Paraprofessional School Related Personnel (PSRPs), parents, community members and other champions of public education who fight for equitable public education and hope to improve the Chicago Teacher’s Union (CTU) so that it fights both on behalf of its members and on behalf of Chicago’s students. This is a group to help keep the Chicago Teachers Union focused. The principles upon which they organize are: Member Driven Union, Transparency & Accountability, Education for All, Defense of Publicly Funded Public Education, and Strong Contract. This group Agreement between the Chicago Teacher’s Union and the Board of Education shall ensure that working conditions and compensation provide for optimal teaching and learning. The GEM wants students prepared to understand the roots of inequality and to act to change the world. Kenwood Oakland Community Organization (KOCO) is a Chicago area community organizing group concerned with low-income and working families. They are working with education, housing, youth seniors and other religious organizations. They also try to keep public schools from closing. Illinois Parents is a website dedicated to bringing a sense of community to public schools in Illinois. A unique feature is the the ability to locate child-related agencies, organizations and libraries in all counties across Illinois. This includes special education and early childhood education. In addition to other features, under School Community Network the section Recursos en Español may be helpful to parents of students with a second language. Parents United for Responsible Education (PURE) is about creating “a high quality public education for all children by informing parents about education issues and parents’ rights, bringing parents into the decision making process, empowering parents in their role as advocates for their children, and assisting them in their interactions within the school system.” Located in Chicago, PURE has accomplished much including co-founding the national network of parents, called Parents Across America. Troy LaRaviere’s Blog post about the loss of special education services in Chicago Public Schools was informative, but there are many other great posts about CPS and reform too! I liked how he spoke in this particular post “Like Thieves in the Night: Deceptive CPS Student Service Cuts Spark Principal Uprising” about the loss of real jobs and how such loss would affect students with special needs. Describing how principals were treated in this process was also revealing. Troy is a principal, and how he manages to find the time to pen anything is amazing. If you put his name in Google you will find plenty more activism for children involving CPS. Hoosiers Against Common Core is a group which has seen success in pushing back the Common Core State Standards in Indiana. The website is focused on primarily the Common Core and the PARCC test, local control of education, quality standards, teachers given the ability to practice their profession, and to reduce the emphasis on high-stakes testing. Hoosier School Heist Blog is by Doug Martin who also wrote the book Hoosier School Heist: How Corporations and Theocrats Stole Democracy From Public Education. Doug is a true activist fighting for public schools in Indiana and beyond! His blog and book both require serious study. He weaves in and out of the connections between individuals and companies and their harmful influence on public schools and you will be stunned! You will come away from both his book and blog a better informed parent and/or educator, ready to stand up for children and their public schools. IN Source Indiana Resource Center for Families with Special Needs began in 1975 to serve Indiana “families of infants, toddlers, children, youth and adults with disabilities.” Volunteers are mostly parents of students with disabilities helping with educational programs and services. The Northeast Indiana Friends of Public Education (NEIFPE) “was founded in 2011 after a small group of friends, teachers, and retired teachers traveled to Washington D.C. for the Save Our Schools March.” Phyllis Bush was one of the co-founders. If you are thinking of starting a local group to advocate for public schools, this is a great website to learn from. They outline the steps they took push back bad school reforms. They write about problems. This is an active blog and is critical for not just those in Indiana but everyone to read. A Blog About School: a Parent’s Thoughts about School in Iowa City and Beyond is all about keeping up with what’s happening in the local school district. Every town and city should have a Chris Liebig who raises the tough questions concerning children and their schools. Geaux Teacher! is the blog of Lee Barrios a retired middle school teacher from Louisiana. She is currently running for school board and deeply committed to children and their public schools. Lee is an outspoken critic of harmful school reforms. Louisiana Parents Against Common core (LA P.A.C.C.) is a FB page opposed to Common Core. Parents and Educators Against Common Core in Louisiana is a FB page for parents and educators against Common Core. 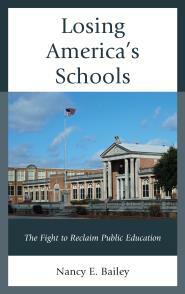 Save Maine Schools is an interesting blog about issues relevant to everyone concerned about school reform. Maryland Values Educational Excellence (MVEE) recently posted a poignant video “Special Needs Out of Luck Under Common Core.” They also have a petition to defund Common Core. I like that they include the option to volunteer to get involved. BPS Education Odyssey is “One parent’s journey through the Boston public school system: good, bad and interesting experiences, thoughts along with important issues which all parents should be aware of.” I find this blog to be heartfelt and provides valuable information especially if you are living in Boston. Marcie Lipsitt/Education Advocate is a blog and also a place to go when you are wondering how to navigate the rough waters of special education in Michigan. Marcie provides help to parents and information on her website for special education news and views. This is a treasure for those concerned about the state of special education and students with disabilities. She does not hold back on her fight for the best treatment and education for children and teens. Marcie is founder and co-chair of the Michigan Alliance for Special Education (a FB page), and while she is everything Michigan, her posts and activism ring true for the whole country. Michigan Parents for Schools have a website and a more active Facebook page, but the entries from the past are good and the FB page brings parents and those concerned with education reform together. Find them on FB if you can. Bright Light Small City: Independent Education News and Analysis from Minneapolis is a blog by Sarah Lahm. Sarah writes vividly about high-stakes testing and a variety of issues concerning Minneapolis and schools across the country. 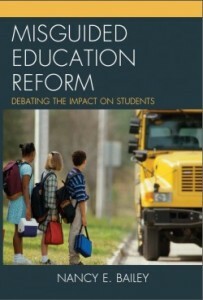 Minnsanity is described as the “Land of 10,000 education reformers chipping away at public education. Let’s join together to save our public schools.” The website is a group of teachers, parents and community members concerned about public education in Minnesota. Missouri Education Watchdog (MEW) presents timely Blog posts and a wealth of information pertaining to schools. This is a very active website including anti-Common Core information, scary information about data collection, grassroots news and videos. If you care about the reforms taking over in your state and want to become active or connect with other concerned parents/citizens MEW is for you. Bob Braun’s Ledger is about “Education, taxes, housing immigration, politics and other issues that affect the people of New Jersey.” For 50 years Braun wrote for the Star-Ledger. And for 30 years he was their education editor. Like other regional and city writers, the information is relevant to education no matter where you live. The Education Activist: From Student to Teacher is the ongoing blog by student and activist Mel Katz who is studying education in New Jersey. It is critical to understand how young people feel about the teaching profession. It is important to learn the perspective of future teachers who are committed to teaching as a career. Mel is bright beyond her years when it comes to education and the loss of public schools. Education Lessons From A Sparkly District is by Julie B. from New Jersey. She is a special education advocate. She writes many blog posts surrounding current issues having to do with special education and I always learn something new from her. Stephen Danley is an Assistant Professor of Public Policy and Administration at Rutgers-Camden University. His blog which includes the Local Knowledge Blog deals with “research involving urban neighborhoods as well as partnership and protest in cities. He has a particular soft spot for both Camden, NJ and New Orleans, LA.” There’s more and he has received many honors…. Check it out. DCG Educator: Doing the Right Thing is by David Greene a longtime teacher who blogs on many issues surrounding public schools. He often writes about the struggle of urban schools and New York City, but his blog is relevant to schools around the country. He is also the author of Doing the Right Thing: A Teacher Speaks. NYC Public School Parents is particularly focused on New York City, but other stantes can relate. Leonie Himson, the Executive Director of Class size Matters edits the posts. The blog is timely and the The Blog Archive is worth reviewing. There are also current petitions to steer NYC school policy in the right direction. Stop Common Core in New York State has documented a lot of anti-Common Core information and sentiment. Their site is full of useful information about the Common Core and how to oppose it. StopCommonCoreNYS posts many anti-Common Core articles that are up-to-date and relevant not only to New York State but the country. Meant to help parents and teachers stop Common Core! With A Brooklyn Accent is Mark Naison’s blog. Mark is a Professor of African-American Studies and History at Fordham University and Director of Fordham’s Urban Studies Program. He has many interesting views on public education and school reform and is a proponent of authentic community schools. He is a great supporter of public schools. Common Core Diva is a blog with the title “We Will Not Conform: I’m Ready to Make Common Core History.” The blog is from North Carolina but it addresses the general problems of Common Core. North Carolina Policy Watch Education is a timely blog with objective commentaries about the school problems in North Carolina. Other states see similar reforms and problems. Opt Out of Tests: New Hanover County Schools, North Carolina provides many helpful resources for those living in NC and parents can also obtain a sample letter if they wish to opt out their student out of high-stakes tests. Public Schools First NC is an important statewide nonpartisan group focused on creating good public schools in North Carolina. Red4EdNC is a part of this group which collaborates with teachers, parents, business and civic leaders. They discuss the budgetary process too. The website also contains good research studies. North Dakota Study Group is a progressive group that started in 1972 concerned about the “narrowness” in public schools and the achievement gap. The group was started by Vito Perrone, then Dean of The Center for Teaching and Learning at the University of North Dakota, and it still addresses serious issues facing our democratic public schools. Here is some history, the group has amounted to an ongoing seminar on democratic possibilities in U.S. and world education, branching out to include related issues such as racial tensions in schools and classrooms, issues of culture, class and gender, social justice and activism, but always returning to the themes of accountability and assessment. In effect, the NDSG has been a kind of informed democratic conscience of U.S. education, constantly reminding the mainstream of alternatives and possibilities, and offering a criticism of educational reform and practice in the light of its enduring concerns with democracy and the estate of childhood. In some reform periods, the ideas of the group have met with and profoundly influenced the educational mainstream–its progressive, democratic ideas have had what the Chinese call “the mandate of heaven.” In other periods, the group has been a voice for thoughtful criticism of mainstream trends, and a supporter of alternative paths and thinking. Strong Schools Ohio is a website with a lot of potential for parents and educators in Ohio. It and the corresponding Facebook page, however, look like they need some work. The grass roots group is a “citizen driven, non-partisan movement dedicated to informing and engaging Ohioans at the community level to understand, appreciate, and support our system of common public schools.” I especially appreciate the appeal to bring communities and schools together. Ohioans help get this group off the ground! Oregon Save Our Schools The Oregon Save Our Schools organization is well-organized and other states could learn much in setting up their own groups. The information is timely and to the point. The members are passionate and really fight for children. Their member’s blog entries are full of critical advice, like Steve Buel’s, “Think, Say, And Actually Act!” and another post, “Why Portland is Chicago.” It is worth your time to see what is happening in Oregon’s schools, because you will find the same things are happening in all schools. Keystone State Ed. Coalition “Established in 2006, the Keystone State Education Coalition is a growing grass roots, non-partisan public education advocacy group of several hundred locally elected, volunteer school board members and administrators from school districts throughout Pennsylvania.” Their mission “is to evaluate, discuss and inform our boards, district constituents and legislators on legislative issues of common interest and to facilitate active engagement in public education advocacy.” They have excellent, timely posts for everyone and all kinds of legislative and policy information particularly for Pennsylvania. If you live in PA please visit this website to learn what is happening in your public schools and how to get involved. Parents United for Public Education involves Philadelphia parents working for an independent parent voice, quality schools, and keeping the public in public education. They provide a Know Your Rights Toolkit! Is your child’s class overcrowded? Have they a split grade? Missing a guidance counselor, art, music or dance classes? Can’t get your child’s concerns addressed? Help us document and report ANY consequences of this year’s underfunded schools. Useful information for everyone. Document Philly School Budget Cuts is a site that other cities and communities should replicate if they haven’t already. Philadelphia has a crisis with the lost of a lot of their public schools, but filing formal online complaints with the state department of education is good documentation. On this site parents are told about their legal rights, how to file a complaint, and they are given associations with other activists from their area to oppose harmful school reform. Gary Rubenstein’s Blog is about education and more specifically Tennessee. Gary is a good authority on the problems with Teach for America. A math teacher, he has several books out which I have listed. He also has a children’s book–The Girl Who Never Made Mistakes. My only complaint is he doesn’t blog more often! Momma Bears are not to be messed with in Tennessee! These bears do some great up-to-date research into corporate reform of public schools around the country, and they aren’t happy about what they usually find. They write with a flare-never dull. And although you will most likely be outraged by their posts, you will never be uninformed. Momma bears are making a difference. I like this kind of writing–serious but with a bit of humor. SPEAK Students, Parents, Educators Across Knox County are collaboratively working with the community to strengthen public schools. They believe in local decision making, active dialogue, and a whole lot more. They have a great blog too! Standing Together 4 Strong Community schools (ST4SCS) is out of Nashville, this blog provides information and insight and bout public schools in Tennessee. Like so many state blogs, the information relates to most states. I like that they have a category and description of the TN Legislative Discussions. And I hope they will develop the East, Middle, and West Tennessee sections. Like my website, ST4SCS is a work in progress. Let’s hope they keep up the good work. Strong Schools is a volunteer watchdog organization out of Sumner County focusing on teacher and student support. They seek to inform residents of the school issues being addressed by elected officials and the school administration. I especially like that they address the issue of problems surrounding the portables used in the school district. Tennessee Education Report by Andy Spears, covers serious education issues in the State of Tennessee that resonate across the country. This blog includes issues like high-states testing and value-added measurement. maintaining local, community control of schools. Tennesseans Reclaiming Educational Excellence (TREE) “is rooted in fighting for strong, equitable public education and is committed to growing child-centered education policy.” This group keeps up with the bills that come up in the Tennessee legislature. Their blog is timely and informative. Follow TREE if you want to keep up with important school information. Don’t wait until it is too late and the the harmful bill is passed and you know you did nothing to try and prevent it. Raise Your Hand Texas has some great ideas and seems to want to help real public schools, but I am concerned about their leadership programs and the discussion about entrepreneurship for leaders. Their connection with Harvard’s School of Education which has a reputation for being pro-misguided school reform and the talk about business school connections is worrisome. While this group seems to see that high-stakes testing is bad, they also have seminars involving data collection. Reexamine your affiliations Texas and pick the better goals, because I know you are a state with caring parents and educators! Seattle Schools Community Forum debates the issues facing Seattle Public Schools. This website supports “high quality public schools that educate all students to become passionate, lifelong learners. Also find out about meetings happening in the school district. There are articles for all and good coverage of special ed. issues. Seattle Education has timely blog posts about Seattle’s public school system, and like most of the regional blogs, they provide excellent information for the country about education reform. Sue Peters and Dora Taylor, both were founding members of Parents Across America, and Dora was acting president of that group 2013 and 14. The Washington Teacher is out of Washington D.C. and written by Candi Peterson. It covers a variety of education topics involving social justice, school politics, and labor. I appreciate the section “Save Our Counselors.” School guidance counselor positions are threatened just like teaching. The posts here are candid and well-written.